Will you join in our crusade? Will you be strong and stand with me? Beyond the barricade is there a world you long to see….? Throughout musical theatre runs a rich vein of songs and stories of the tired, the poor and the huddled masses yearning to breathe free. Miners, dockers, farmworkers and factory girls have all been given a voice in some of the most famous, and not so famous, Broadway and West End productions. 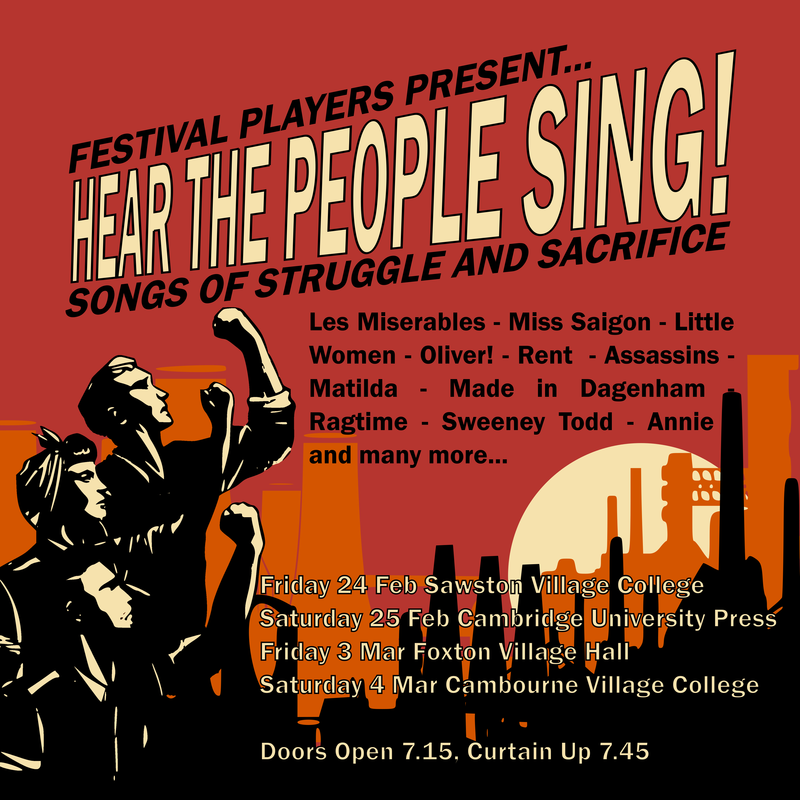 The award-winning Festival Players brought this touring show to venues in Sawston, Cambridge, Foxton and Cambourne, performing rousing calls-to-arms, heart-breaking laments, bawdy tavern songs and the soaring anthems of those who may be in the gutter, but are always looking at the stars. Read the Local Secrets review here!